Information: František Bonuš, teacher of Czech and Slovak folk dances. Professor Bonuš was born in 1919 in Czechoslovakia. He was an expert in the music, folk dances, and folklore of his country. He was a dance master of the Prague Conservatory and created Czech dance choreographies for many groups in Europe and the United States. He also taught at several folk dance camps in the United States, including the Santa Barbara Folk Dance Conference in 1979. In the latter part of the 1970s, František and his son Jasan brought into a new, and until that time, unknown kind of entertainment  American Country Dancing! More and more young people began to dance different mixers, line dances, circle dances, and squared of four couples, but in precise choreographies. In a short time, many Country and Western groups came into being and presented exhibitions at dance balls or arranged "cowboy games" in the face of huge problems under the country's Communist rulers. 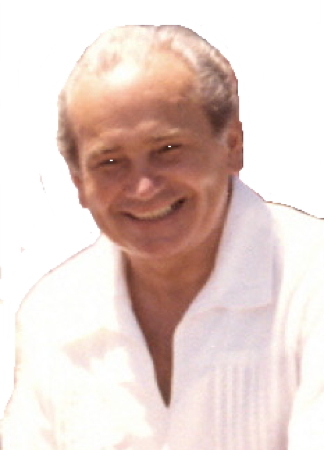 Prof. František Bonuš passed away in 1999. Czechoslovakian Dance Workshops by František Bonuš.